Why we love it: Kisses for dessert! 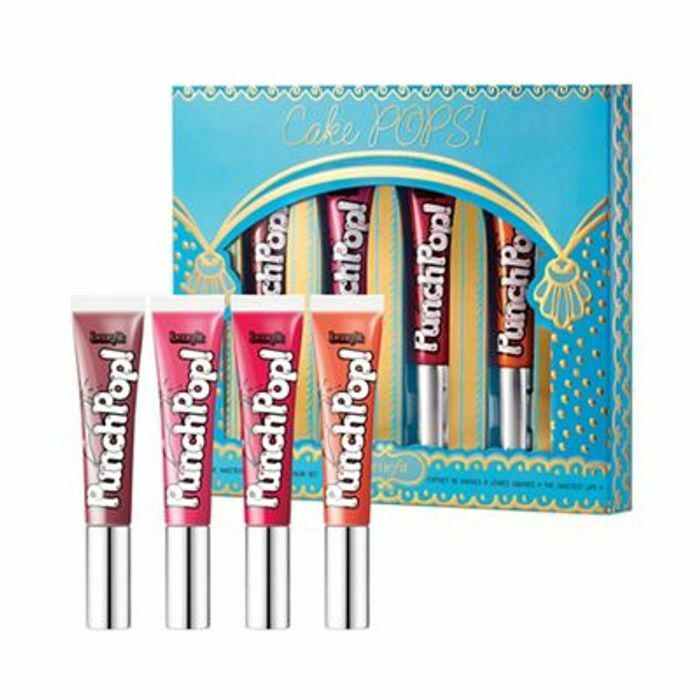 it's 4 liquid lip colours in 1 irresistible set! This 'Punch Pop'! foursome instantly gives lips a pop of colour, vitamin E and shine. They're oh-so punchy, juicy, bright and bold! Beauty tip: Stock up on this juicy deal. It's the perfect last-minute "emergency" gift! How to use: Do me a flavour! Choose your Punch Pop flavour! These liquid lip colours were inspired by sweet treats. Once you pick your flavour, glide-on for an instant POP of colour.